The university was established in 1558 and is counted among the ten oldest universities in Germany. It is affiliated with six Nobel Prize winners, most recently in 2000 when Jena graduate Herbert Kroemer won the Nobel Prize for physics. 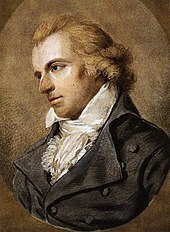 It was renamed after the poet Friedrich Schiller who was teaching as professor of philosophy when Jena attracted some of the most influential minds at the turn of the 19th century. With Karl Leonhard Reinhold, Johann Gottlieb Fichte, G. W. F. Hegel, F. W. J. Schelling and Friedrich von Schlegel on its teaching staff, the university has been at the centre of the emergence of German idealism and early Romanticism.